Every year the NFL Super Bowl creates a level of excitement uncommon for most sporting events and this year’s event was no exception. The broadcast provided viewers with a dazzling Lady Gaga half-time show and the stunning and record-breaking, come from behind 34 – 28 win by Tom Brady and the New England Patriots. In Part 1 of this Super Bowl Technology Insight, The Broadcast Bridge takes you behind-the-scenes, looking inside the trucks and technology used to create this year’s Super Bowl game. From kick-off to the Patriots’ in an overtime, game-winning touchdown, you will see how the broadcast was created. On board Game Creek’s Encore production control room, complete with Grass valley production switcher and EVS Replay systems. This year’s Super Bowl telecast proved to be a winning combination of trusted and new technology mixed with a bit of WOW factor. 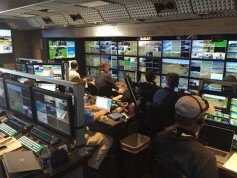 Teams of trucks and personnel from NEP and Game Creek Video handled the core of both broadcast and production. 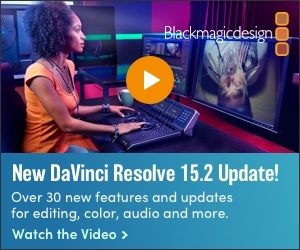 The production trailers held some of the most complex and sophisticated video and audio production equipment available. Want a peek inside? In this package, you will learn about the gear inside the trucks, how it was used and results obtained. With just under 30 trucks and production OBVs located around the Houston NRG Stadium, miles of fiber, wireless and copper connected the puzzle pieces together. Lady Gaga Half-Time Show at Super Bowl LI. This year’s Super Bowl broadcast was a combination of high technology and an edge-of-your-seat experience with a spectacular come-from-behind tie to an over-time win, by the New England Patriots. To say this year’s Super Bowl broadcast was remarkable is an understatement. Want to know more about how all this technology works? Behind-the-scene details are just ahead.